If there’s one thing that Cape Fear locals and visitors alike adore, it’s the local beaches. 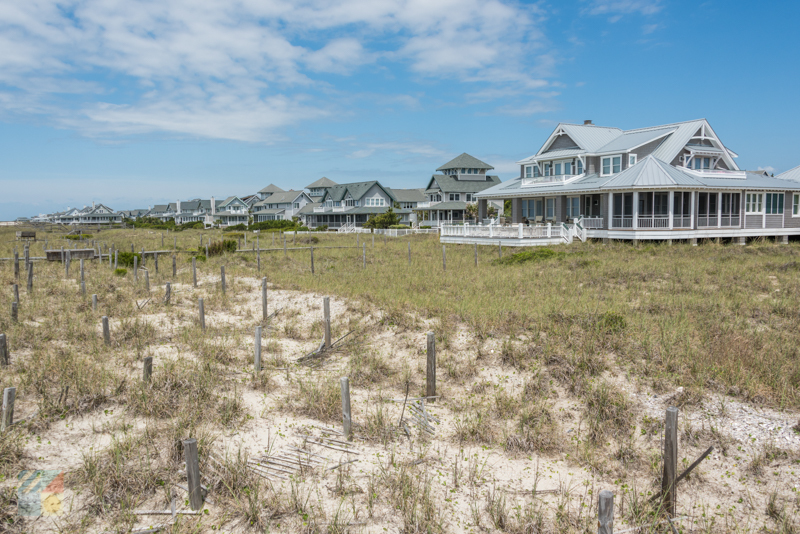 The area is teaming with stunning shorelines that span from the private Figure Eight Island all the way to the pristine Zeke’s Island Reserve. Spanning miles of coastline, it can be tricky for visitors to decipher where to go first, where to park, and what to do once they’ve landed on the sand. The good news is that virtually any stretch of shoreline has its own arsenal of activities for visitors to enjoy, and because of the sheer diversity of beach communities, virtually any beach fan can find just the environment they are looking for. Ready to learn more? Then start your coastal explorations by discovering all there is to know about the Cape Fear beach scene. Whether you appreciate a hopping beach community, or a quieter stretch of shoreline, the Cape Fear area has you covered. Discover these communities and destinations where every day is quite literally a day at the beach. Figure Eight Island is a five-mile, 1,300 acre private island that’s only accessible to visitors and island residents. Featuring stunning beaches, a collection of roughly 475 beach homes, and not much else, this island is ideal for visitors who appreciate a nicely pristine environment and little company. How to get there: Visitors will need to stay on the island to gain entry, and will receive a vehicular pass to show at the entrance of the lone bridge that accesses the island. 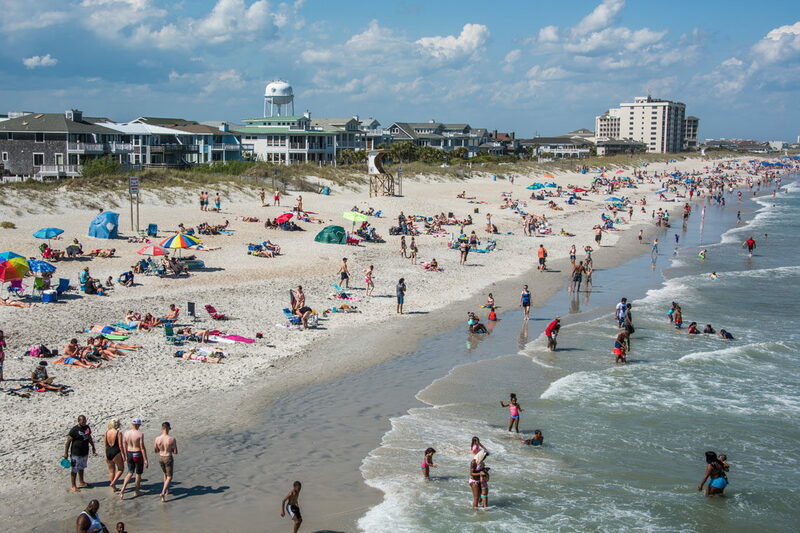 Known for its great surfing, ample beaches, and fun atmosphere, Wrightsville Beach is a popular beach town that’s easy to reach from virtually any mainland Cape Fear community. The town features numerous parking areas and spaces which are generally available for $15 per day, or $2.50 per hour, from March 1st until October 31st. (Parking is free in the off-season months.) The town also features the area’s longest fishing pier – Johnnie Mercer�s Pier – as well as nice wide beaches and generally decent waves for longboard surfing or ocean kayaking. Wynn Plaza Parking Lot - at the corner of Waynick Blvd and Causeway Dr. Located in between the hopping beach communities of Carolina Beach and Wrightsville Beach, Mansonboro Island is a breath of fresh air for nature lovers. This undeveloped island is the largest of the 10 sites that comprise the Coastal Reserve and National Estuarine Research Reserve system, and it features 8.4 miles of completely pristine beaches. As a result, it’s a great spot for shelling, beachcombing, birdwatching, and just enjoying miles of seashore with little if any company. How to get there: The only way to access Mansonboro Island is by boat, and visitors can often anchor on the southern or northern edges of the island. Tours and water taxi service may be available via tour companies that are based in both Wrightsville Beach and Carolina Beach. One of the busiest towns along the Cape Fear area, Carolina Beach is a great destination because of its wide variety of shorelines. 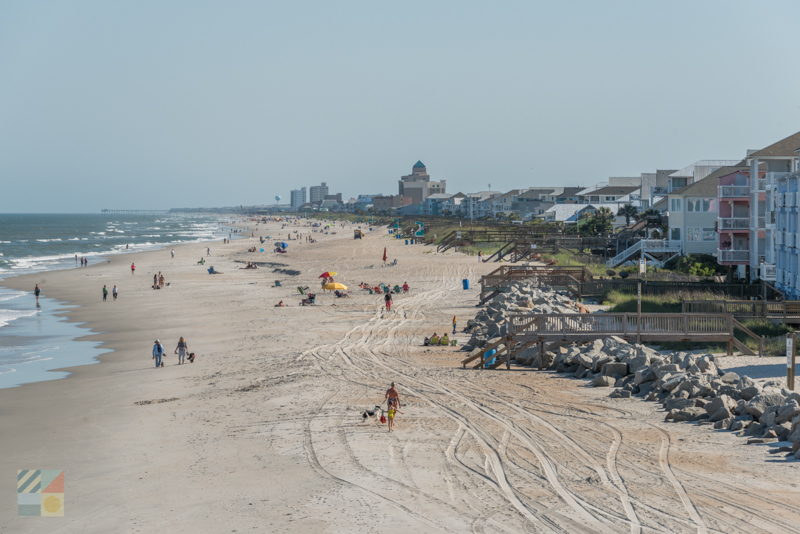 Visitors who like crowds and activity can head to the Carolina Beach Boardwalk – one of the most popular attractions in the area - while visitors who prefer a quieter setting can head north to the undeveloped Freeman Park, which is accessible by 4WD vehicle and which is completely undeveloped. Miles of pretty beaches are available in between, and the town also has an on-site fishing pier – the Carolina Beach Fishing Pier – which is ideal for anglers. 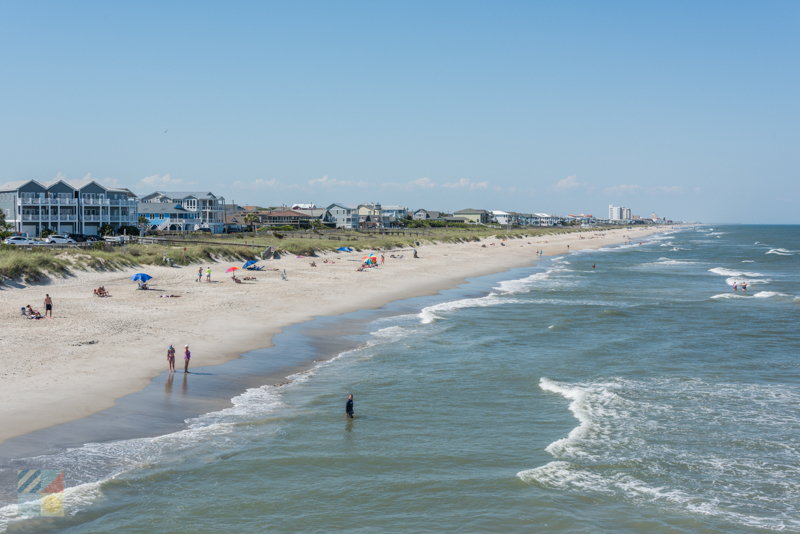 Located just south of Carolina Beach, Kure Beach is a pretty destination that traditionally has all the allures of its Carolina Beach neighbor, but not necessarily all of the crowds. The town has a popular park along the beach front – Ocean Front Park and Pavilion – which serves as a beach access as well as a venue for a wide range of events throughout the year. In addition, the town has its own fishing pier, the Kure Beach Fishing Pier, and miles of beaches that feature the nice wide shoreline and gentle wave characteristics that Cape Fear beach fans love. How to get there: Parking is free throughout Kure Beach and there are a range of parking areas available for visitors. Dune crossover ramps are located at the following street ends: Ocean View Avenue, Spotters Court, N, M, L, K, J, I, H, G, F, E Avenues, and Davis Road. In addition, parking spaces are also available along Fort Fisher Boulevard in marked spaces, and close to the Kure Beach Ocean Front Park. The Fort Fisher State Recreation Area is a popular destination for day-trippers, and features six miles of beaches that are perfect for all sorts of oceanfront activities. Visitors can spend a full day surfing, surf fishing, shelling, and exploring, and can also pause to enjoy the nearby attractions of the Fort Fisher Historic Site as well as the North Carolina Aquarium at Fort Fisher. How to Get There: Head south from Carolina Beach / Kure Beach, and keep going until the expansive parking area for Fort Fisher State Recreation Area comes into view. There’s generally enough spots for everyone who wants to explore the beaches, although summertime and / or weekend visitors may want to arrive early just to make sure. Located just south of Fort Fisher, Zeke’s Island Reserve is a part of the North Carolina Coastal Reserve and National Estuarine Research System, and it’s also a popular beach destination for shell seekers, fishermen, and anyone who appreciates isolated and undeveloped shorelines. Comprising of 1,635 acres, which includes a collection of islands in addition to the primary Zeke’s Island, this site is especially popular with paddlers, birdwatchers, and everyone who likes natural explorations. How to Get There: Visitors can access the Zeke’s Island Reserve on foot or by vehicle via Fort Fisher State Natural Area, which is located on the reserve’s northern borders. To access the area by boat, head to Federal Point and launch on an exploration of the numerous islands that comprise the wild site. Similar to Figure Eight Island, Bald Head Island is an isolated destination that can only be reached by a private ferry, and which features a collection of elite vacation rentals. In addition, the island also has a collection of restaurants and watersports stores, a couple of resorts, and a picturesque reserve in the heart of the landscape. Because of its isolation, the island features pretty undeveloped beaches where uncrowded fishing, shelling, and other beach activities can all be enjoyed. How to Get There: Bald Head Island is only accessible by a private ferry that leaves from the Indigo Marina in Southport, and vehicles are not allowed once on the island. (Golf cart rentals may be available.) 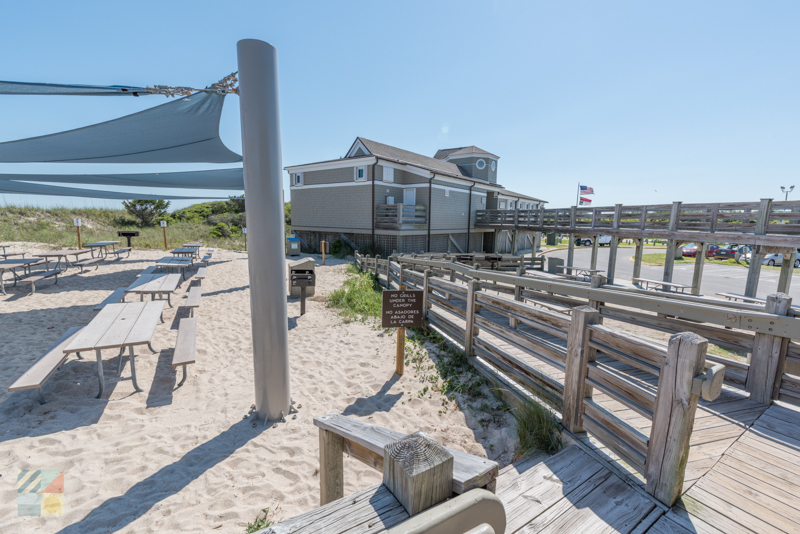 The area has a number of vacation rentals and accommodations, which are arguably the best way to enjoy the beach scene throughout a Cape Fear stay. While every specific beach town or destination may be different, many have a similar set of rules and regulations that visitors will want to follow to make the beaches as enjoyable as possible for everyone who loves the sand. Keep pets leashed at all times, and check town rules and regulations before bringing your pet to the beach. 4WD access is available in Freeman Park in Carolina Beach, and the Zeke’s Island Reserve. A permit may be required before accessing the shoreline. Do not walk along the sand dunes except on designated paths, and do not remove the vegetation – the local sand dunes are instrumental in protecting the inland areas from ocean over wash. 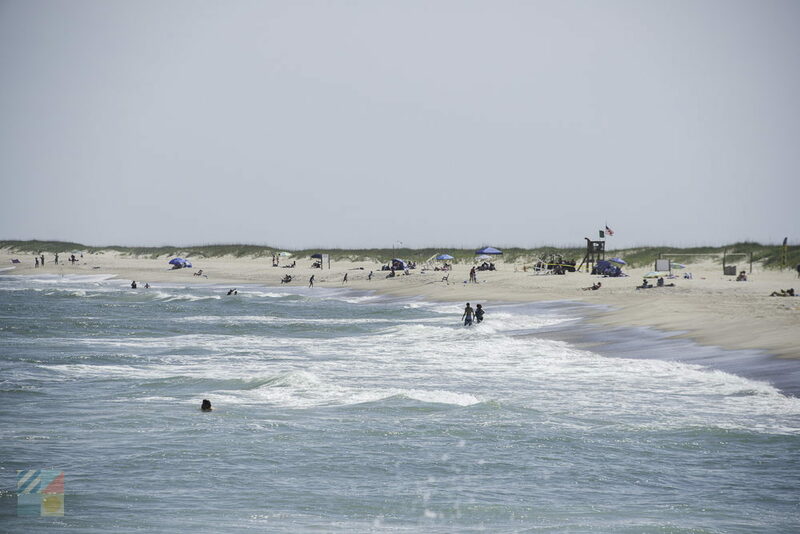 Camping may be available at Freeman Park and Masonboro Island, but is not allowed with the town limits of the beach communities, like Wrightsville Beach, Carolina Beach, and Kure Beach. Alcohol and glass containers may not be allowed at certain beaches, like within the town of Carolina Beach. Avoid surfing or swimming near the fishing piers. 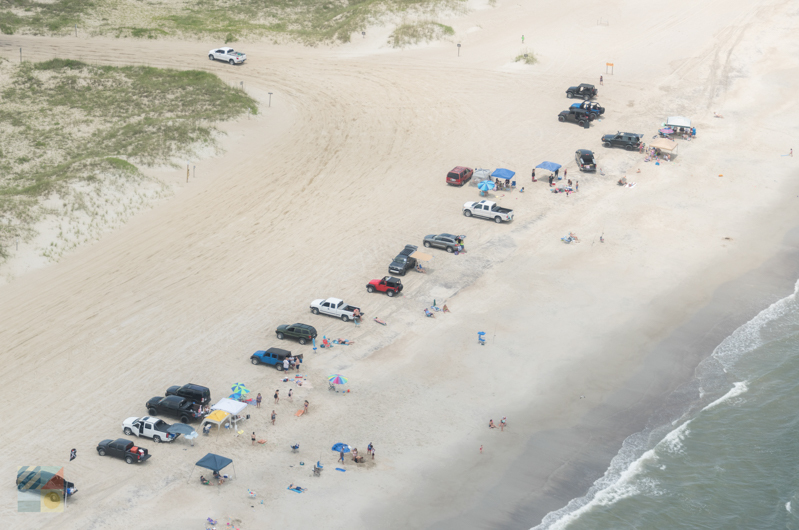 All beach-goers should watch out for rip currents, which cause more injuries and deaths than any other factor along the North Carolina shoreline. While rip currents can be tricky to spot, visitors will want to look for these key signs that a rip current may be present in the area. Waves are visible at either sides of the section of water, but the section itself appears to be wave-free. Being caught in a rip current can be a scary sensation, so stick to the following procedures to ensure a safe return to the beach. DON’T PANIC. Panicking is the worst thing a swimmer can do, as it will waste energy and make it hard to breathe and react smartly. Do not try to swim back towards shore, through the current. The current will likely be too strong to swim against. Instead, swim parallel to the beach until you no longer feel the pull of the current. The exact width of a rip current can vary, but in most cases, a swimmer can exit one within a few minutes or so. Once you are out of the current, THEN you can start swimming back to the beach. The most important thing, above all else, is to stay calm. By keeping a clear head, and swimming parallel to the shore until you no longer feel the current’s pull, you can then safely navigate your way back. Sunscreen is a must! 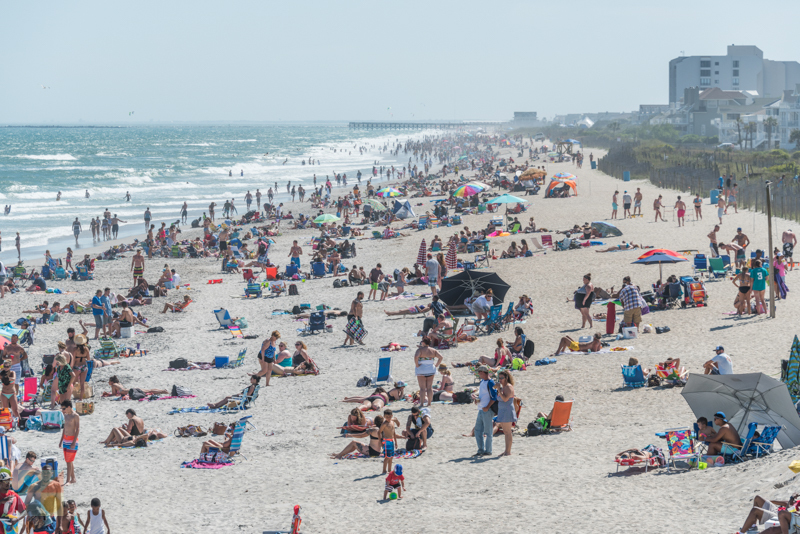 The sun is much stronger off the water than on the mainland, and visitors not used to the heat can burn quickly – even in the cooler off-season months. Want to learn a new sport? Carolina Beach and Wrightsville Beach are teeming with lessons, camps, and private instruction providers for a wealth of popular area sports, including surfing and stand-up paddle boarding. Sign up for a class or lesson to discover a new way to enjoy the water. Surf fishing is allowed throughout the region, although visitors will want to acquire a saltwater fishing license first, per North Carolina State Law. A license can be easily picked up online, before a vacation, at the at the North Carolina Division of Marine Fisheries Website. Shelling is popular in the Cape Fear region, and visitors who want the best odds of finding a treasure or two can head to an isolated beach destination – like Mansonboro Island or Zeke’s Island – or can even launch on a Shelling Tour that’s available in Wrightsville and / or Carolina Beach. The beaches are amazing in the off-season! Visitors who want to avoid the crowds – and enjoy cheaper accommodations to boot – will want to plan a fall or spring trip when the water may be cool, but the shorelines are divine. Want to extend your beachfront explorations? Book a vacation rental home or condo. The coastal communities have hundreds of vacation rentals that offer exceptional views and beach access all vacation long. Don’t forget that summer weekends can attract plenty of crowds from Wilmington and other inland communities. Arrive as early as possible to secure a parking spot. 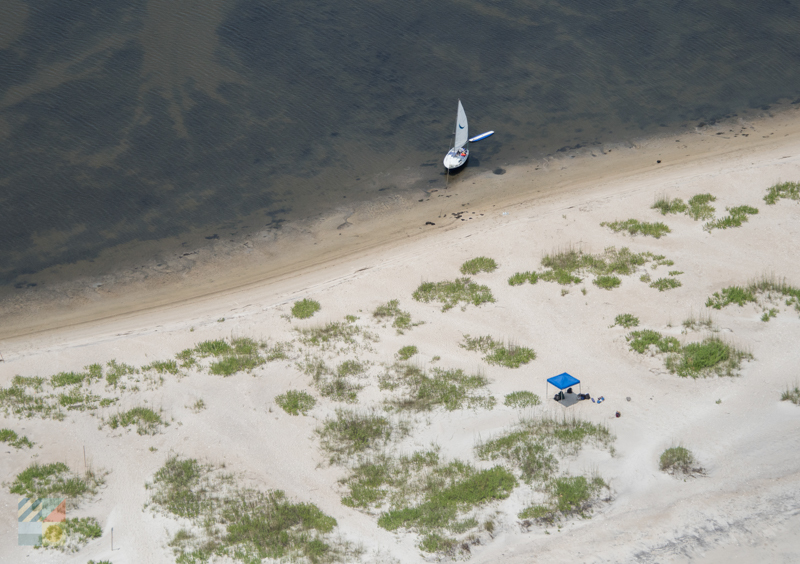 The Cape Fear Beaches are as diverse as they are inviting, with literally miles and miles of shoreline to go around. From easy-to-reach coastal towns to beautifully isolated islands, there’s no shortage of incredible coastal destinations when it comes to enjoying a sunny beach day in the Cape Fear region.